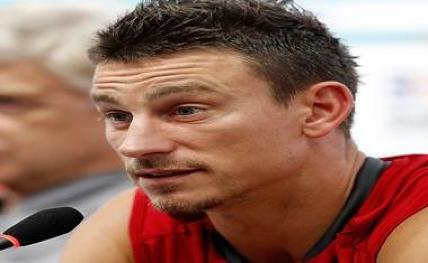 London, May 8: France and Arsenal defender Laurent Koscielny is to be sidelined for at least six months and will not be able to play in the FIFA World Cup this summer, following surgery for an Achilles tendon injury, the capital football club's head coach Arsene Wenger confirmed on Tuesday. Koscielny, 32, was injured on May 3 during Arsenal's 0-1 loss to Atletico Madrid in the second leg of the UEFA Europa League semi-final, reported Efe. "Koscielny is, of course, devastated because he had surgery and that means that he will be out for six months," Wenger said in a press conference. "We will not see him before certainly the end of December or the beginning of that month at best, in certainly his final year where he would play for the national team. But you never know — and he misses now the World Cup as well. "What is unusual in his case is that he had a tendinopathy for a long time and usually it does not rupture but in this case it went," he added. Arsenal midfielder Santi Cazorla, 33, is to remain sidelined for the club's two remaining matches of the season due to an ongoing serious Achilles injury, having suffered through 10 operations since being injured in October 2016. "It is a shame. I brought him here and I love the player and the person. He looks good, prepares well, runs well, but medically it is too much of a risk to rush him back," Wenger said.